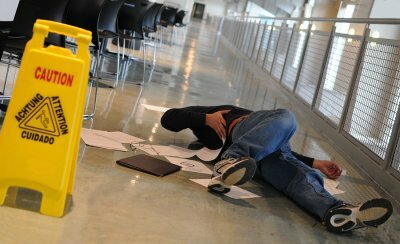 A slip and fall accident can result in injuries both mild and severe. On the mild end of the spectrum, individuals may only suffer momentary pain, such as that caused by a stubbed toe. More serious cases can involve sprained ankles, fractured bones, spinal cord damage, or traumatic brain injury (TBI). If you’ve sustained injuries in a slip and fall accident in the Riverside area, you have the right to contact a personal injury lawyer to discuss your legal options. 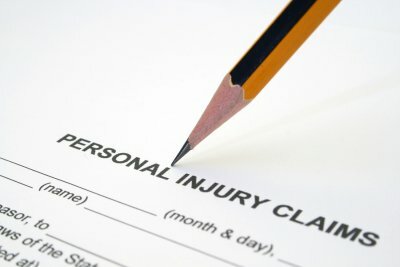 Your personal injury lawyer will assess your case to determine if certain elements are present. First, victims of slip and fall accidents must have sustained damages or losses directly caused by the accident. If you fell, but weren’t hurt and didn’t require medical care, then you cannot hold someone liable for the accident. Your medical records should be sufficient to prove your damages. Next, your personal injury lawyer will consider whether a hazardous condition was present that caused you to slip or trip. Some common causes of slip and fall accidents include inadequate lighting, uneven floorboards or missing floorboards, the lack of handrails, and the presence of spilled liquid on the floor. However, the mere presence of a hazardous condition isn’t enough to prove negligence in a personal injury case. In order to prove that the property owner or manager was negligent, your lawyer must prove that the individual or an employee caused the hazardous condition or that these individuals knew of the hazardous condition, but did not take action to correct it in a timely fashion. Alternatively, your lawyer may argue that the defendant should have known of the hazardous condition because any reasonable person in the same situation would have discovered it and fixed it. The determination of the degree of reasonableness on behalf of the defendant is often a key issue in slip and fall cases. Many factors may be evaluated to assess the defendant’s reasonableness, including whether the defendant has a history of regularly examining and fixing the property, whether there is evidence of regular maintenance, and whether warning signs or caution tape had been placed in the area. Motorcycle accident lawyers in Riverside often work with clients who sustained serious injuries in crashes that occurred during inclement weather. Although a motorcycle accident lawyer can help you obtain compensation with an accident lawsuit, it’s definitely preferable to avoid a crash altogether. When a rainstorm strikes, the roadways will be slickest during the first 15 minutes, thanks to the accumulation of motor oil on the roadways. If possible, pull over and wait out the storm or at least the first 15 minutes. Watch this video for more helpful tips on riding safely in the rain. It recommends wearing waterproof gear to help you stay warm, since it’s hard to drive safely when you’re cold. You should also wear bright clothing and reduce your speed. And remember to contact a motorcycle accident lawyer promptly if you do get into a crash. A car accident lawsuit filed in Riverside can help victims obtain compensation for all sorts of related losses-from medical bills and lost wages to psychological injuries and disfigurement. In the case of catastrophic injuries , it’s even more important to contact a car accident lawyer as quickly as possible. Individuals who sustain catastrophic injuries tend to accrue significant medical bills very quickly. A car accident attorney can assist individuals who have catastrophic injuries such as extensive third-degree burns that cover much of the body. Burn injuries may require multiple skin grafts and reconstructive surgeries, and they tend to result in lasting disfigurement. Traumatic brain injuries are another common type of injury caused by car accidents. Since brain injuries can result in lifelong disability, the car accident lawyer may have the victim undergo independent evaluations to develop an estimate of the damages. Other examples of catastrophic injuries include the amputation of a limb, paralysis caused by a spinal cord injury, and the loss of vision or hearing. As the name suggests, a personal injury case occurs when an individual sustains an injury that is the result of the other party’s actions. In the majority of personal injury cases, the defendant is accused of behaving negligently, rather than intentionally. A personal injury lawyer located in Riverside may handle a range of types of cases, including those that involve motor vehicle accidents and trip and fall accidents. 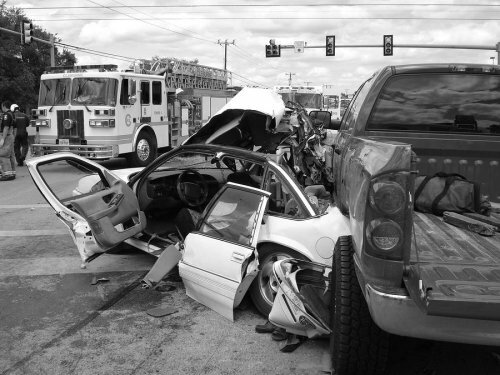 Car accidents are among the most common types of incidents that lead to personal injury lawsuits. Many car accident survivors make the mistake of trying to negotiate with the insurance carrier by themselves, rather than contacting a personal injury lawyer. But since it’s not in the insurance carrier’s best interests to offer a fair settlement, car crash survivors are unlikely to receive just compensation for their losses. In fact, the insurance carrier may try to claim that the victim was at fault for the crash. It’s always a good idea to contact a lawyer. Even if no lawsuit is filed, the personal injury lawyer can effectively negotiate with the insurance carrier on behalf of the victim. Motorcycle accidents often result in catastrophic injuries. Even when a motorcyclist is careful to wear a DOT-approved helmet and other protective gear, getting thrown from a bike can result in permanent disability. For this type of personal injury case, the victim’s attorney may seek compensation for his or her physical injuries, psychological injuries, lost wages, and other damages. A slip and fall accident can occur anywhere. If a person falls outside of his or her own home, it may be attributable to an act of negligence committed by another party. For example, a building manager may have failed to nail down loose floorboards in the common area of an apartment building, causing a tenant or visitor to trip and fall. These types of cases can be tricky to litigate, so it’s very important that the victims carefully document the scene of the incident, the hazardous condition, and their injuries.